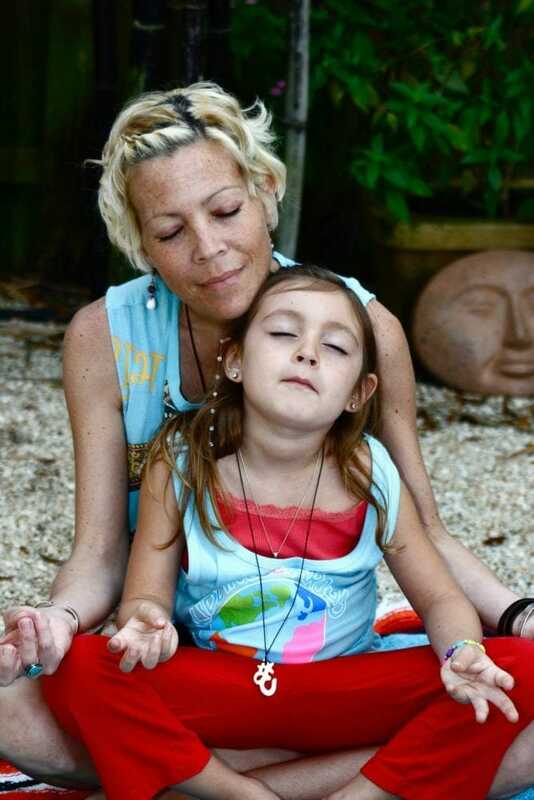 Fun-filled kids yoga, meditation, and mindfulness for schools, events and more. Every Kidding Around Yoga class offers a complete, age-appropriate Yoga practice including breathing instruction, relaxation techniques, stretching and strengthening poses, all using fun-filled music, games, and imagination. KAY’s secret is our playfulness, keeping your child motivated, excited, and moving. This is not your typical Yoga class. A KAY class gets children singing, dancing, skipping, marching, jogging, shaking, laughing, hopping, limbo-ing, and storytelling ALL while practicing Yoga to original KAY music. Kidding Around Yoga classes are a unique opportunity to give your child skills that will provide a sense of balance, calm, and power for years to come.
. I can’t wait to share KAY with you and the little Yogis in your life! I started practicing Yoga over 15 years ago. In stressful times Yoga was my tool to relax and refocus. Teaching Drama classes to children and getting in touch with all the kids around me, I realised how much they need the same. Yoga gives everyone, adults and children a unique way to achieve empowerment, self awareness, confidence and peace of mind. But everyones approach to the treasure within oneself varies. 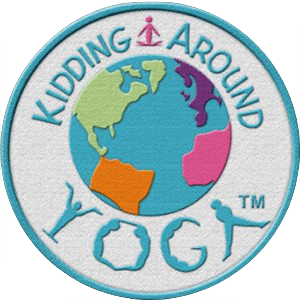 Kidding around Yoga is a fun and rewarding path to lead children to mindfulness, peace and joy. I love to share what Yoga gives to me and to encounter every Yoga-student individually in my class. 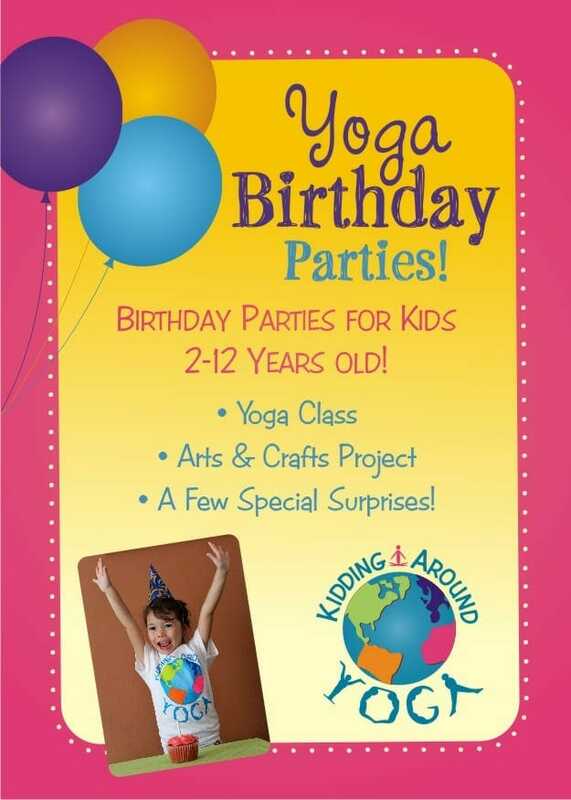 Want a fabulous birthday party experience for your child? Contact me to go over location, pricing and all of the fun-filled details! Hello local Scouts and neighborhood leaders! I would love the opportunity to introduce the Science of Yoga to your troop/den and help them earn a Yoga Fun Patch. While teaching the Science of Yoga, KAY provides a curriculum that is specifically designed to help children be active, learn to relax, improve focus, and have FUN in a non-competitive environment. I will offer a class customized for your troop level, which can include a special scout story, meditation techniques, games, activities, and much more! I teach all troop/den levels and can even do a private sessions as well. I look forward to hearing from your organization to schedule a class soon.